"Fantastic job, When you were recommended by our Interior designer, we had never heard of you, will certainly recommend you to anyone looking for shutters and will endorse you to our interior designer. Many thanks"
"I absolutely love my shutters! I didn’t think they were this affordable, but Cumbria Plantation Shutters delivered on time, and on budget, and they were helpful and friendly through the whole process." "I was overwhelmed with how efficient, friendly and great value for money the overall service was, it has been a long time since I was this pleased dealing with a company! Highly Recommended." "We have a large bay window that sits as the focal point in our dining room, and wanted shutters to deliver the Wow factor when visitors come round, Cumbria Plantation Shutters have delivered on time and at a much lower cost than we had anticipated, a huge bonus!" "Kevin is polite, friendly and has an interesting story or two, the oiled natural wood stain finish blends fantastically with my living room, job well done Kevin!" "A friend recommended your services, and from the very first phone call I felt at ease, the whole process was quick and efficient, the Coniston shutters for my conservatory look fantastic, now I just need some sunshine!" "We have never had such honest, friendly and reliable service before, we had a slight issue alignment, but we called Kevin and it was fixed the very next day!" "Just had our Café style shutters installed in the kitchen, and already our friends have commented how they have transformed the room, so happy we found Kevin, we saved a packet!" "A top notch job and a well deserved testimonial, Kevin’s no pressure approach to guiding us through our options was really what we were looking for." "I was looking for an alternative to blinds or curtains, which simply weren’t practical for my bathroom window, after extensive research I found Cumbria Plantation Shutters couldn’t be beaten on quality, price or customer service! Extremely pleased, would recommend to everyone." "Fantastic job from start to finish, highly recommended for anyone looking for the lowest price and friendliest service." "We searched the web for a business that was on the ball, and promised minimal delay and hassle, we have to say Kevin certainly delivered, Our new bay window shutters look great. Thanks again for a job well done." "I was looking for authentic replacements for my solid shutters, and a friend suggested Cumbria Plantation Shutters as a great company that really takes on board what your looking for – I certainly wasn’t disappointed! A smashing job well done." "Our biggest concern was privacy and style, Shutters were the obvious option, we did some research and one name came at the top of our list for price and recommendations, and we certainly didn’t regret it." "Everything you designed and suggested was brilliant. The fitting was superb, all my friends and family keep commenting on my shutters. Your reward scheme for my recommendation was a complete surprise. Thanks for everything Kevin." "The shutters look fantastic. Thank you." "Absolutely delighted with my shutters. Your customer service was excellent, can’t wait to get you back to do the back of the house." "We were impressed from start to finish. Your quick response, your friendliness and your efficient manner. The suggestions you made, not just for our shutters but also other design aspects that we have now incorporated into our home. Your commitment to getting the job done by our required deadline was most impressive, we believe you stayed until 1am to get the job finished. You were superb. We would recommend you to anyone. Thank you." "Many thanks for a friendly and efficient service; from design to completion you were great. We could not fault the quality, your professionalism and your friendliness. Would be happy to recommend you to anyone." "My shutters look fab. All my girlfriends love them and some are speaking to Kevin so he will do theirs. He did a great job and a fantastic price too." 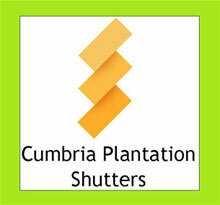 "We got quotes from loads of companies; Kevin at Cumbria Plantation Shutters was by far the best. He was honest enough to tell us where the shutters are made, unlike some who said they were made in their workshop in Manchester and they were fitted beautifully." "Our shutters look fantastic, when we sit in our living room we see people giving them admiring glances as they walk past, we feel really chuffed. Thanks for a great job." "Superb job, no fuss, no hassle and an excellent fit. We contacted several companies from around the UK, but Kevin was by far the best. He really came up trumps. Many thanks."